On December 21, 1824, none of the medical journals of the day mentioned the death of James Parkinson. This botanist and surgeon had spent more than three decades practicing medicine from his home in Hoxton, just outside London. He was also one of the 13 founders of the British Geological Society. He published a dozen books and papers on fields as varied as palaeontology or gout disease. One of them changed the future of millions of people. 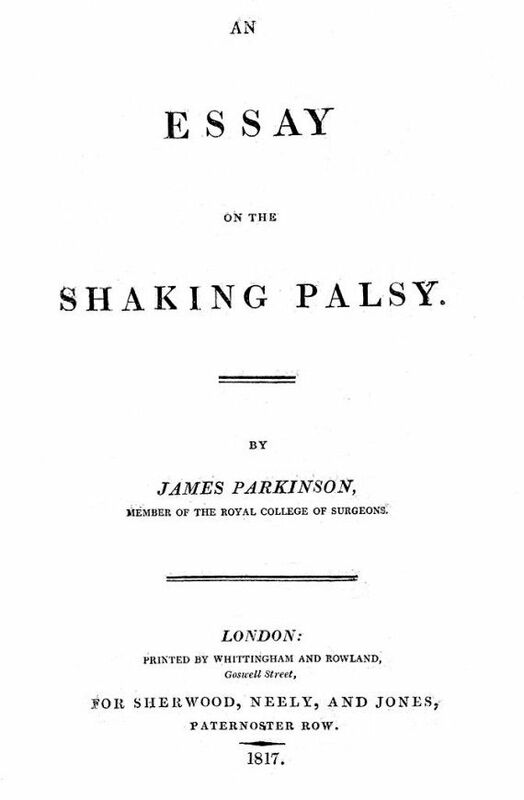 In his 1817 work “An Essay on the Shaky Palsy“, James Parkinson was the first to accurately describe the symptoms of the disease that today bears his name. It has been 200 years since the writing of this work, which no one remembered on that day in December 1824, and the causes of Parkinson’s disease still remain a mystery. James Parkinson (Shoreditch, 1755 – London, 1824) was the son of an apothecary and surgeon who already worked from the same dwelling where the following two generations would end up doing the same. From his childhood, he was interested in following in the footsteps of his father, so he became his apprentice for seven years. At that stage of his career he learned how to make medicines, diagnose diseases, and purge and bleed his patients. In 1776 he studied for six months at London Hospital Medical College and in 1784 was approved by the City of London Corporation as a surgeon. During this time, he was influenced by the renowned surgeon John Hunter, whom Parkinson mentions in his notes for his descriptions of trembling and paralysis, and who encouraged him to start his own collection of fossils, both key contributions to Parkinson’s career. During his years as an operating physician, Parkinson was interested in very different subjects: he wrote one of the earliest writings found in the English medical literature on appendicitis and how peritonitis can cause death. But the main work of the British physician was an essay on what he called “trembling paralysis”. In this paper, Parkinson establishes the disease as a clinical entity. “Involuntary tremulous motion, with lessened muscular power, in parts not in action and even when supported; with a propensity to bend the trunk forwards, and to pass from a walking to a running pace: the senses and intellects being uninjured,” Parkinson described in 1817 (the exact date is unknown). This description was the first and the most classic recorded about the disease, although in current terms it is considered limited. He wrongly predicted that these tremors could be due to damage to the cervical spinal cord; it is now known to be a chronic neurodegenerative disorder. The doctor had observed throughout his career certain determinants for the paralysis. However, it was due to the observation of three of his patients and three of his neighbours, especially in their hands and arms, that Parkinson would derive the description. It would be almost half a century before the French neurologist Jean-Martin Charcon added robustness to Parkinson’s description and used his name to classify this disease. Bristol University researcher Cherry Lewis notes in The Enlightened Mr. Parkinson, one of the most recent biographies of the English physician, that “Parkinson was not only a pioneer in medicine but also internationally famous for his works on fossils. He revealed an unknown world… His exquisitely illustrated Organic Remains of a Former World placed the study of fossils on the scientific map of Britain before the subject even had a name.” Lewis also adds that the gold medal Parkinson received from the Royal College of Surgeons was not for his publications, not even for his Essay on the Shaky Palsy, but for his groundbreaking work on fossils. Throughout his medical career, Parkinson showed a concern for social justice. In one of his works in 1799 he tried to help families with fewer resources to recognize illnesses and to understand when they should pay for medical help. Vaccination was one of the fields in which he was most closely linked: he became one of the first people in London to offer smallpox vaccines.